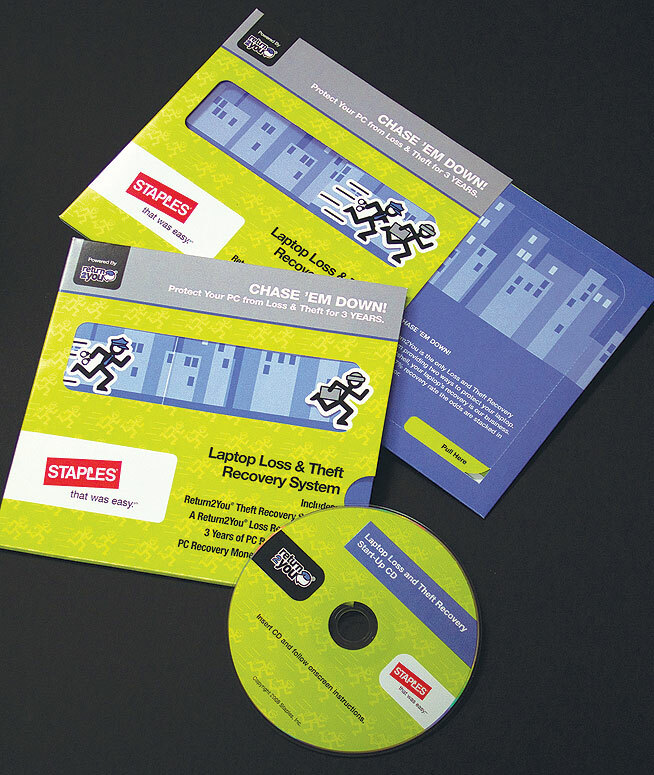 Staples needed a way to package an PC Loss & Theft service. The packaging needed to attract customers and simply communicate the core benefits of the service without confusing the customer with technical speak. An interactive sleeve was created to draw the customer in by enticing them to pull the inner sleeve to animate the "Cops & Robbers" scene on the front of the packaging. This subtly enforced the core benefit of the product, creating clever, attractive packaging while conforming to Staples existing style standards.